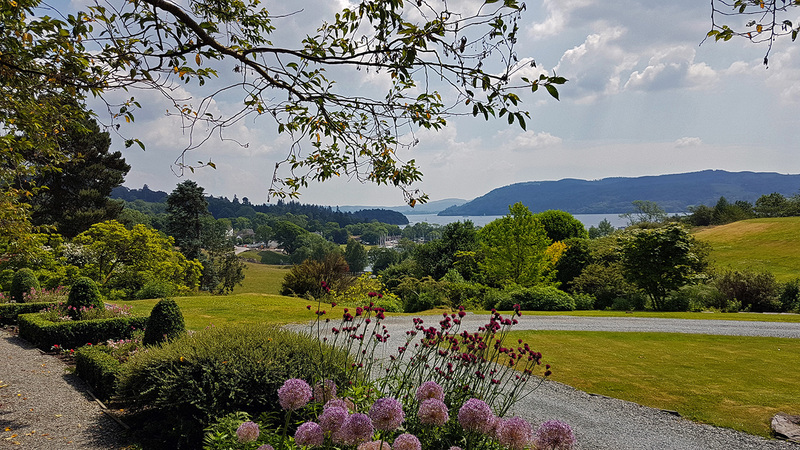 We went to the Samling to celebrate our Wedding anniversary with a quick 4 course set Sunday lunch menu. 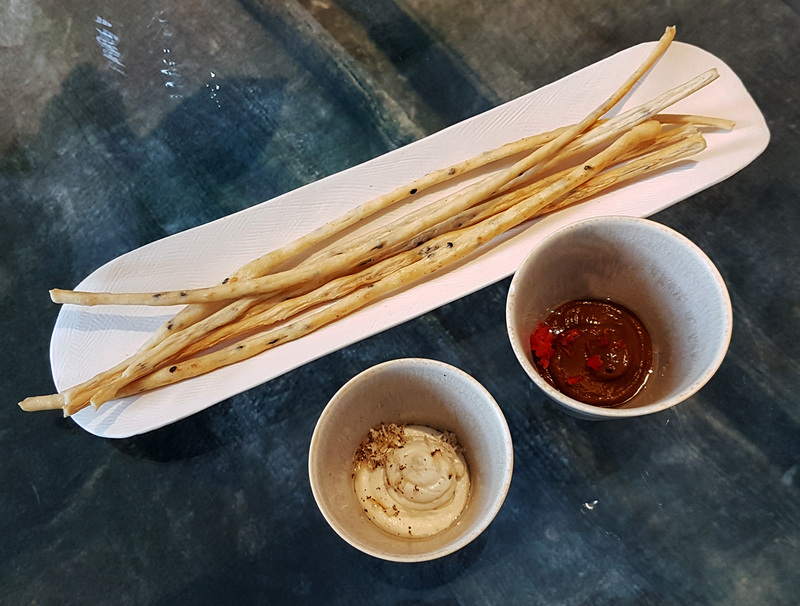 Don’t ask me how we ended up on Tasting menus with Wine pairing , a 4 hour lunch and a tour of the Wine cellar. All in all it was a fantastic afternoon amongst lovely people and some really enjoyable food and Wine whilst taking in one of the best restaurant views in the UK. 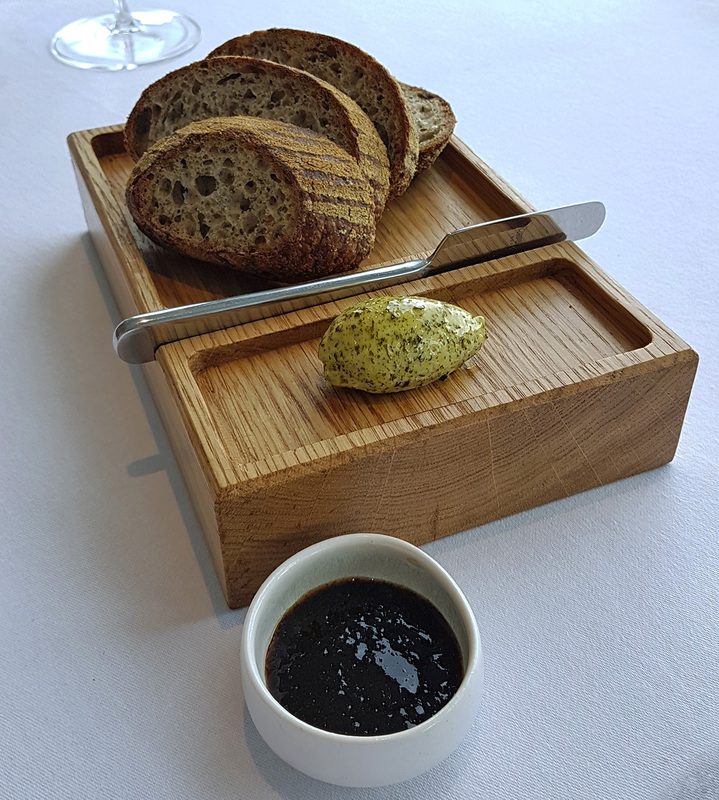 I get to dine at the Samling and put the info on my blog quite often so I won`t go into detail this time. 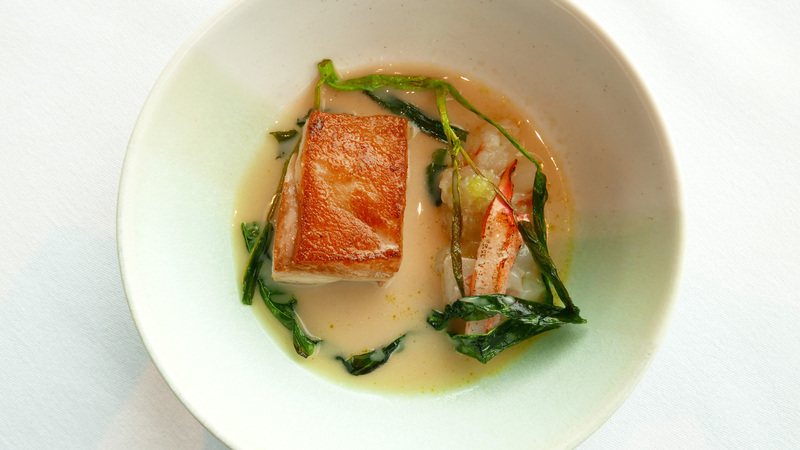 Here`s a quick look at the current Tasting menu and what we ate during our anniversary lunch. 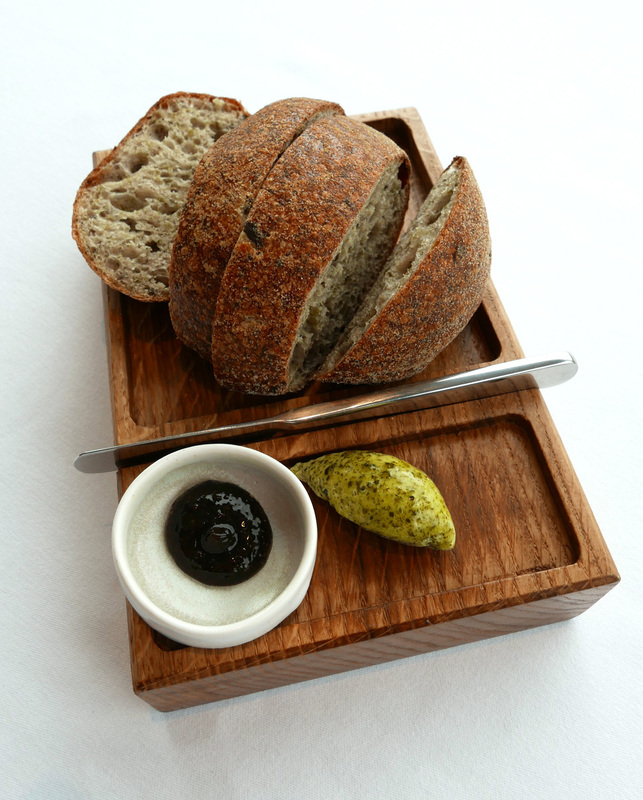 MENU – £80 per person with Wine pairing at £65. 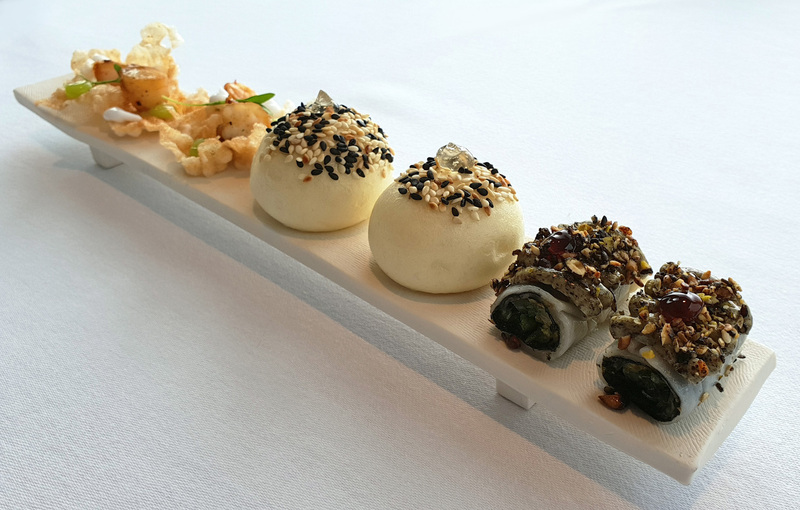 A SAMLING WELCOME WITH AN ASSORTMENT OF CANAPES. 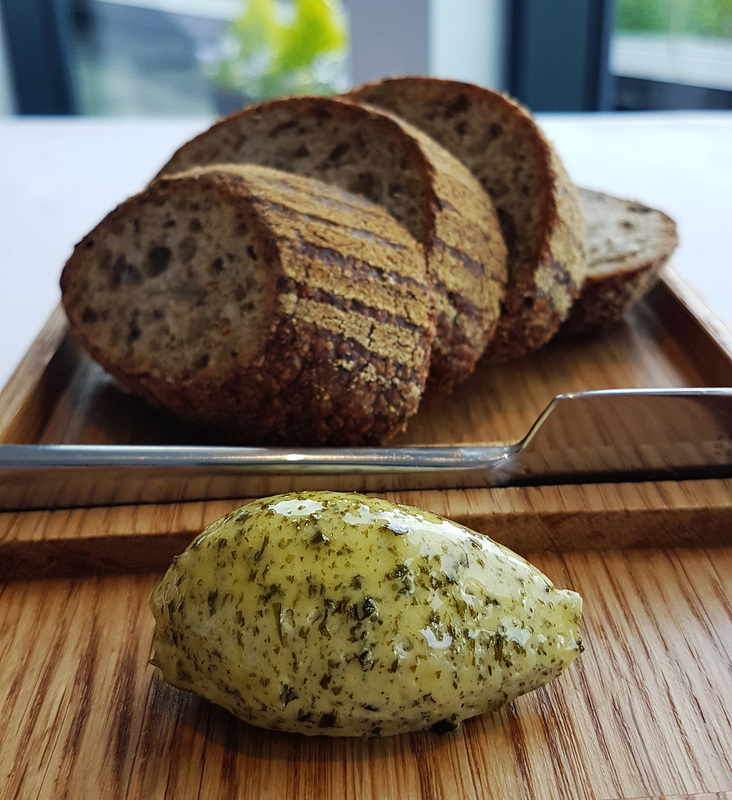 BREAD – SEAWEED SOURDOUGH , SEAWEED BUTTER , SEAWEED EXTRACT (Seamite) – The Seaweed Butter and extract providing an extremely Umami topping to `as good as it gets` Sourdough Bread. 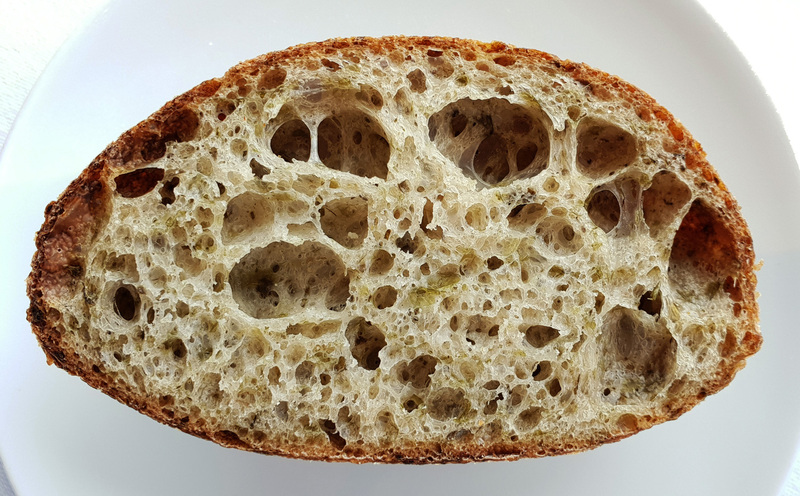 The “Seamite” apparently is a fermented secret blend of various Seaweeds cooked down to the stage where it`s extremely tasty and makes a perfect “love it or hate it” topping for the Bread. 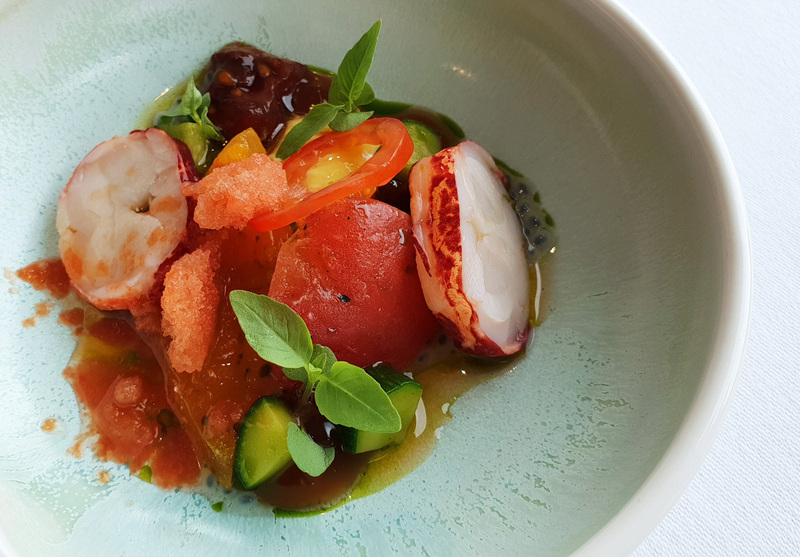 LOBSTER – Isle of Wight Tomatoes , Native Lobster , Basil , Courgette , Smoked Ricotta , Rapeseed and Bloody Mary. 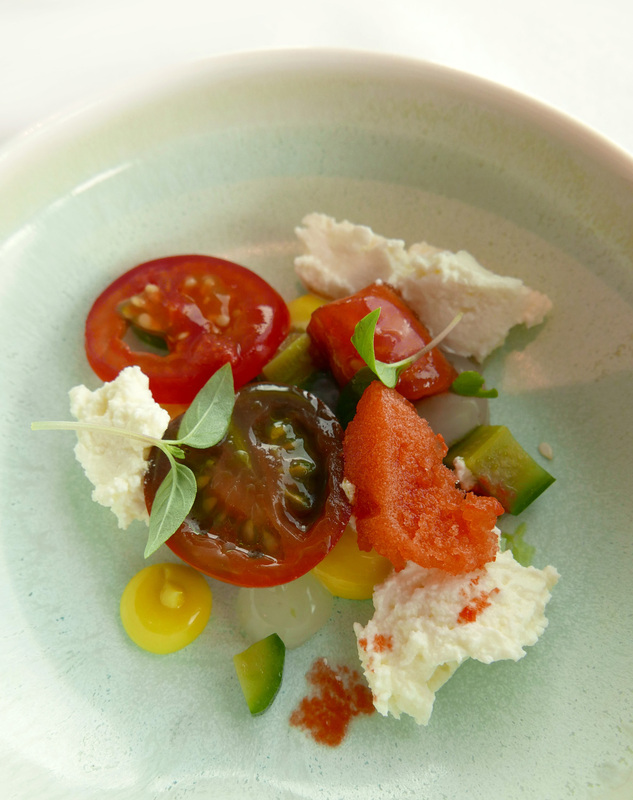 – Full of wonderful Summer flavours and my only complaint was that it was so good I could have eaten 10x the amount. 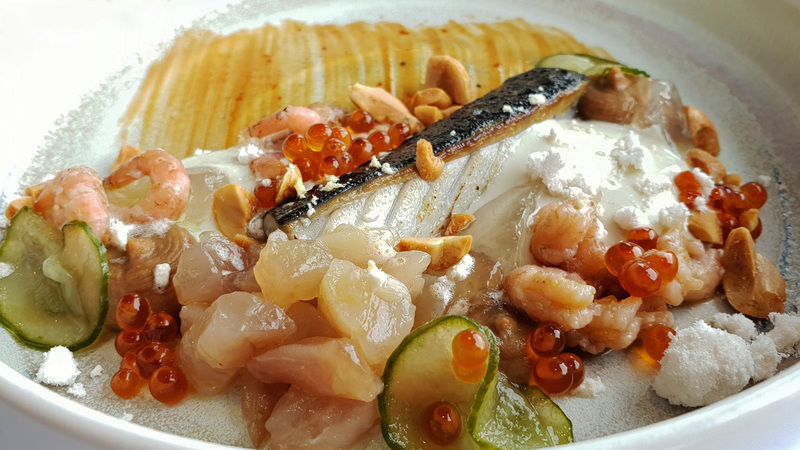 MACKEREL – Torched Mackerel , Brown Shrimp , Satay sauce , Pickled Cucumber. 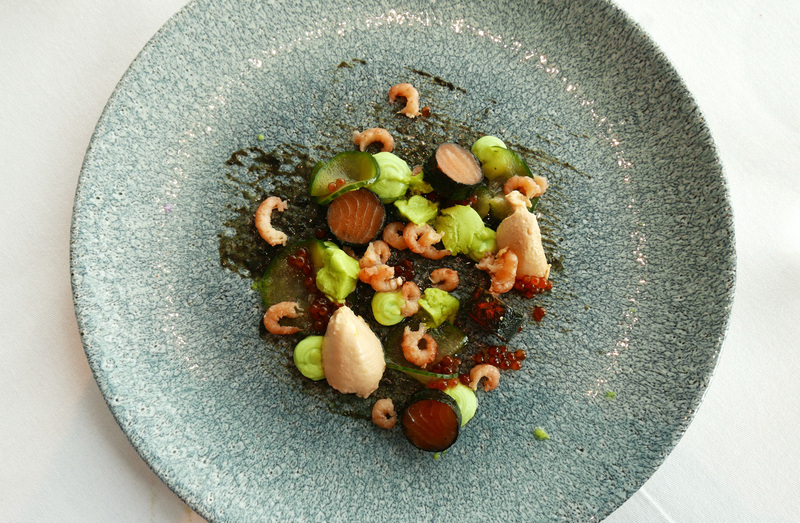 An enjoyable course but too many components ( I counted 10 ) on the plate which was quite confusing. 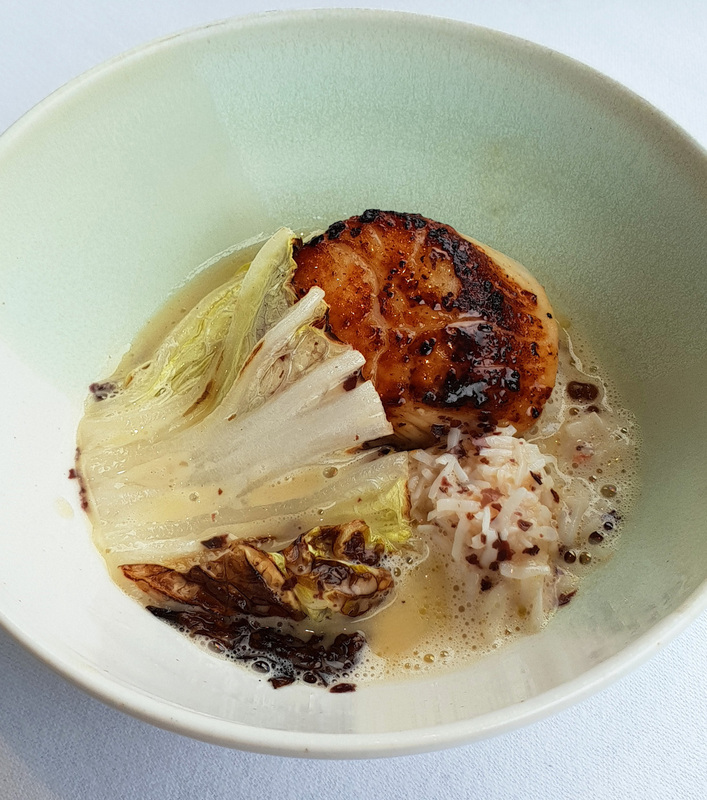 SCALLOP – Confit Scallop , Salcombe Crab , Charred Cabbage , Shiso . 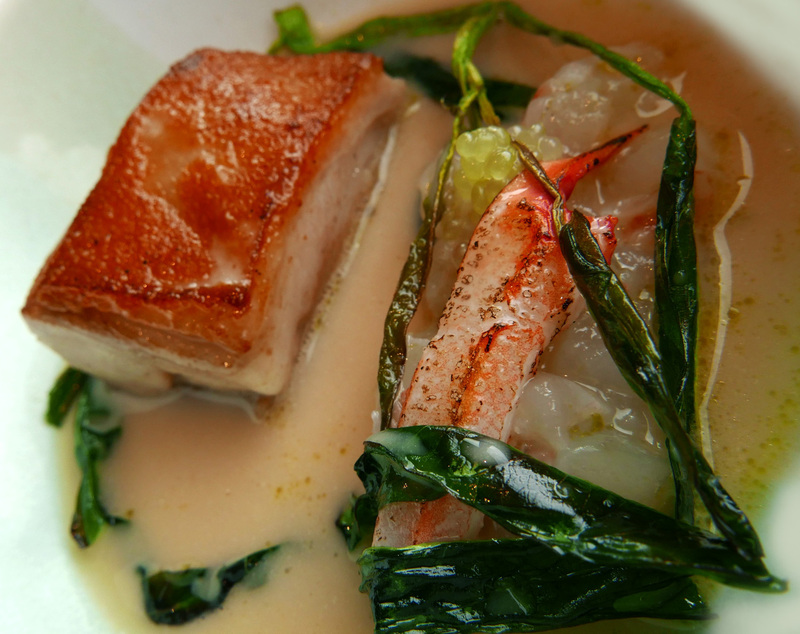 A dish which was Salty ( in a good way ) , Creamy , with a perfectly Caramelised and cooked King Scallop. 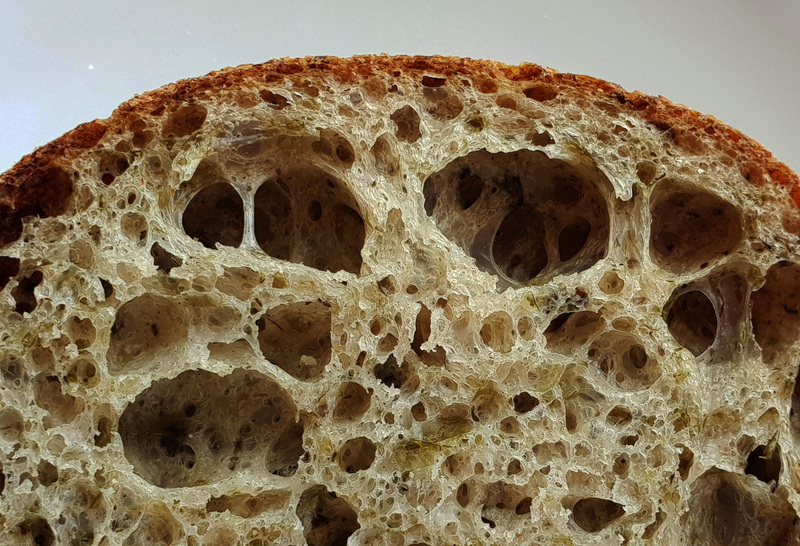 Classic cooking well executed. 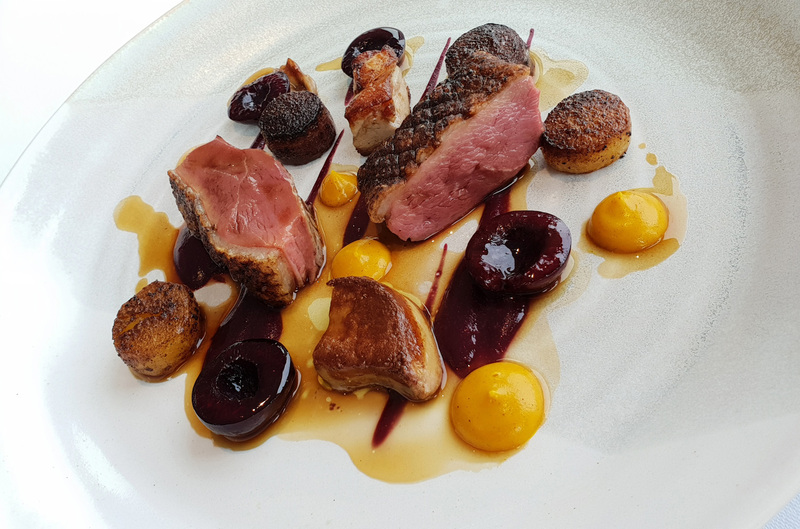 DUCK – Goosnargh Duck , Sautéed Foie Gras , Roasted Plum , Five spice Carrot and Cherry. 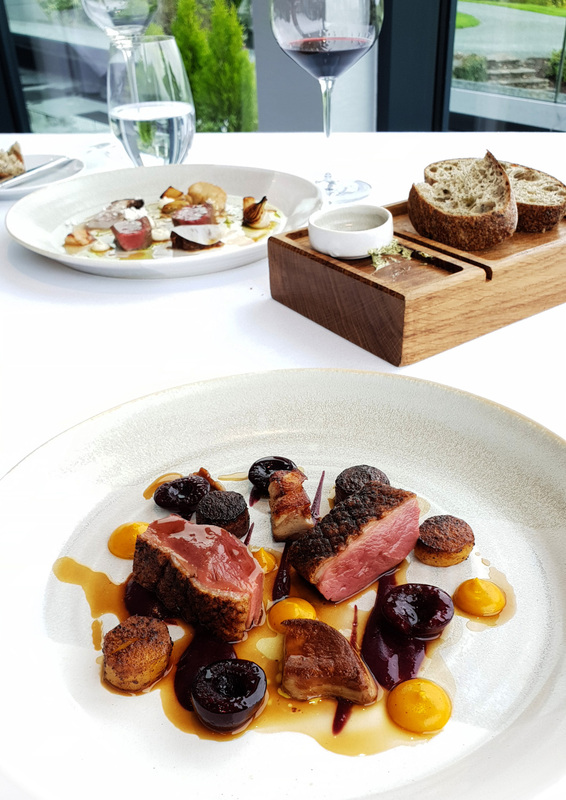 The Duck was a little chewy for my palate , however paired up with the Foie gras , tart Plum sauce and sweet Cherry it made a really tasty combination. 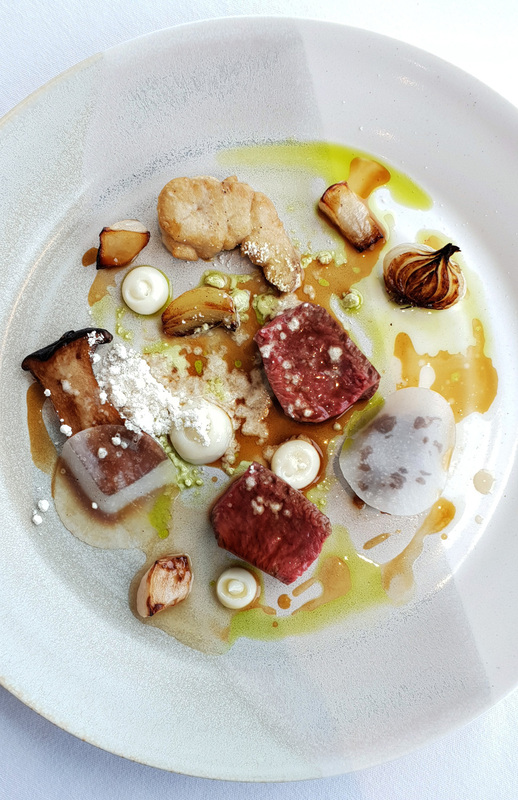 VENISON – Cartmel Valley Roe Deer , Barbequed Abalone Mushroom with Sansho Pepper, Confit Turnip. 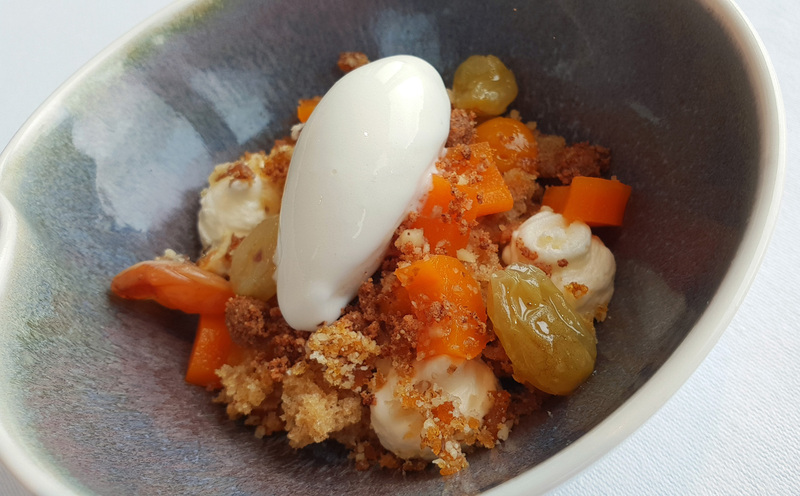 CARROT – Carrot cake , Walnuts , Moelleux Raisin , Milk ice Cream. I love Carrot Carrot Cake whatever form that it`s served to me in. 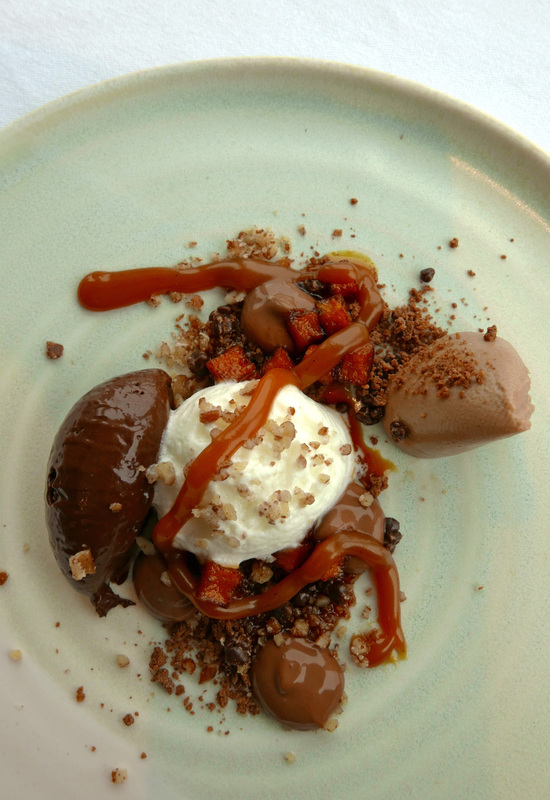 In this case it was `deconstructed` and as far as Carrot Cake goes it got my thumbs up. 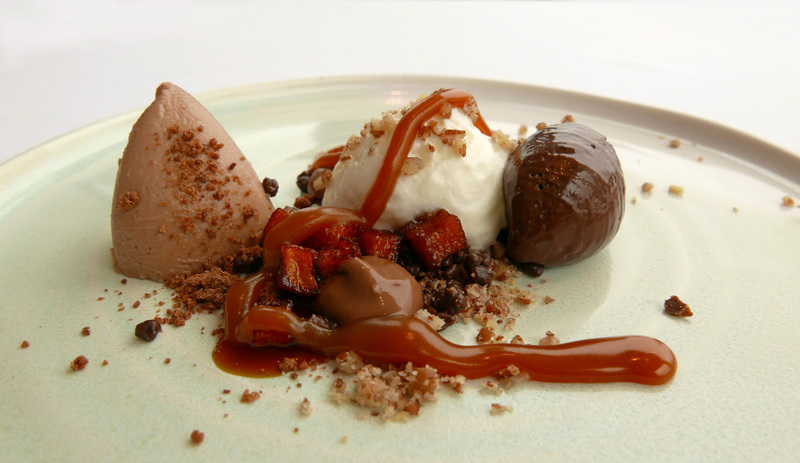 CARAMEL – Salted Caramel , Caramelised Namelaka , Chocolate Marquise and Feulletine , Apple Pie , Pecan. Sommelier Robert Patla explained about the best Sweet Wine that he had EVER had the pleasure to taste and this was it. Giovanni Allegrini 2011 Valpolicella classic. 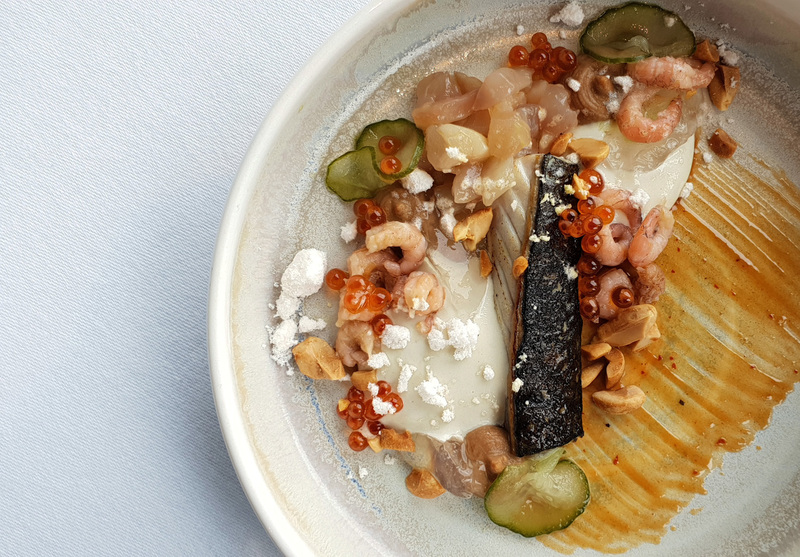 All in all the food was really enjoyable and I personally feel that with a few minor tweaks the Samling is definitely on track to regain their Michelin Star. 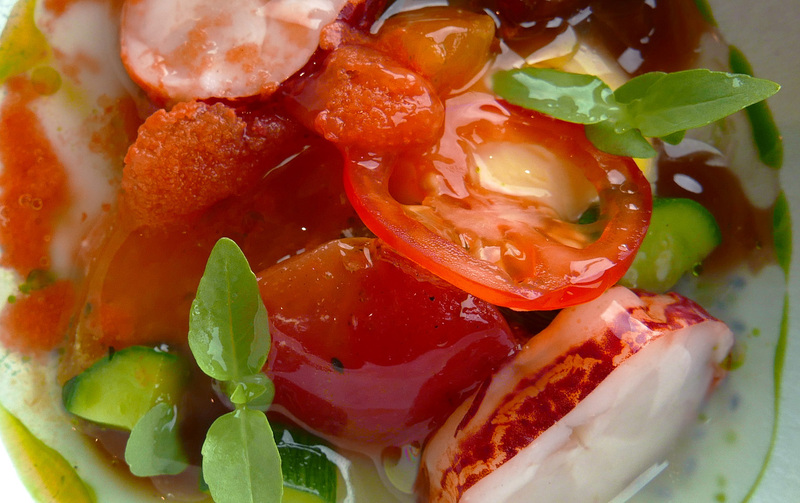 I`ll look forward to the Autumnal produce and see what Chef puts together from Cumbria`s amazing produce available at that time of year. Oh and welcome to the new Samling Head Sommelier Robert Patla (direct from Sharrow Bay in Ullswater). An man with a deep knowledge and passion for the Grape. Thanks for our tour and education Robert , it was as pleasurable as the food. 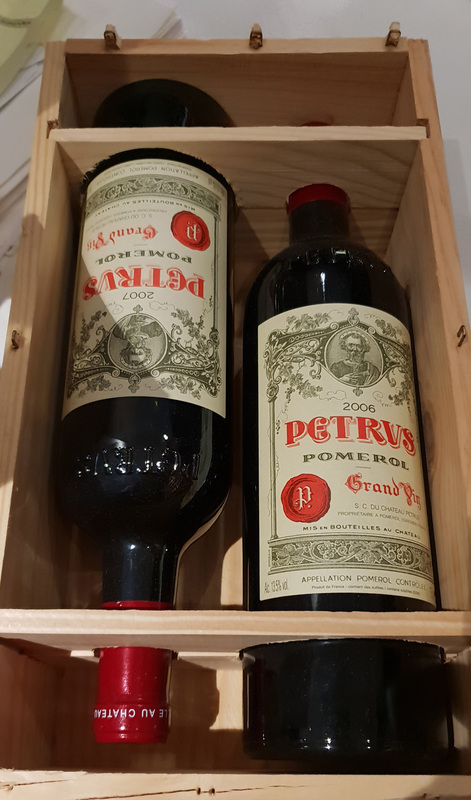 Robert recommended us his current favourite Wines to drink and all are available to buy online. RED – Casa Silva 5th Quinta Generacion 2012 (Chile) Perfectly matched to drink with Venison. Available online at £ 17.50 a bottle. ROSE – Domaine OTT Clos Mireille 2017 . This one was Roberts number one choice for Rose. Available online at £21.00 a bottle. 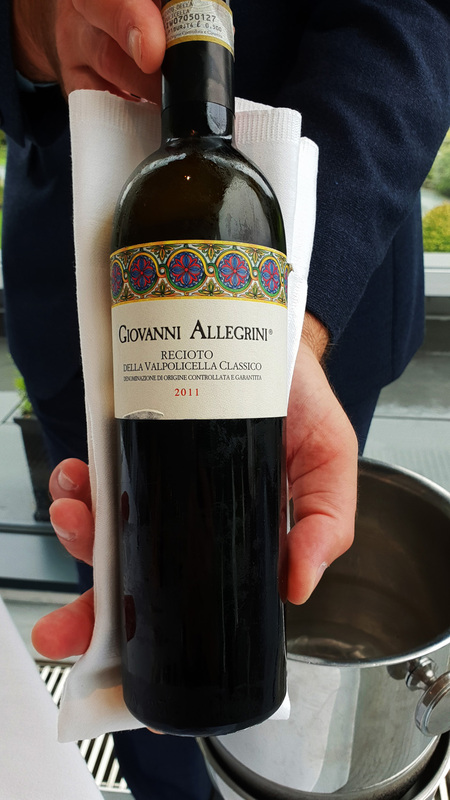 SWEET – Giovanni Allegrini Valpolicella Classico 2011. After hundreds of Sweet Wine tastings all over the world , this was Roberts Number 1 Sweet wine choice of all time. Available online at £28.00 a bottle. 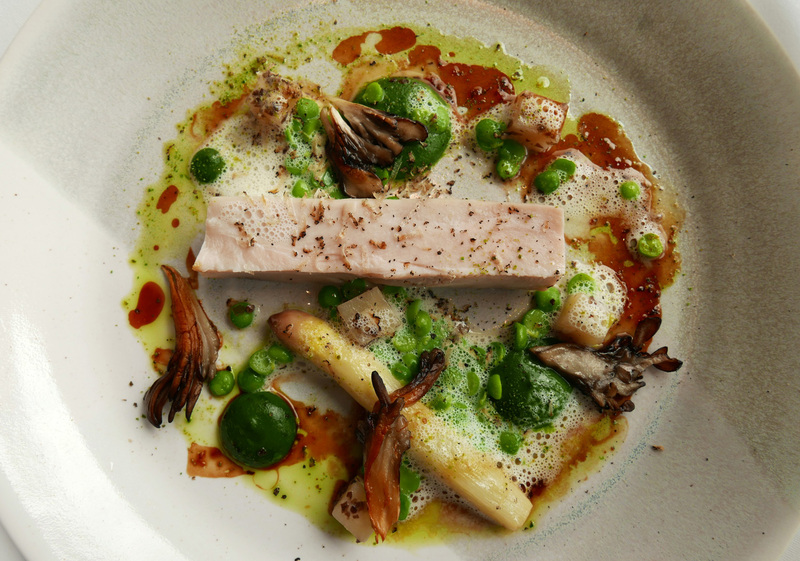 Chicken , Asparagus , Hen of the woods , Summer truffle. 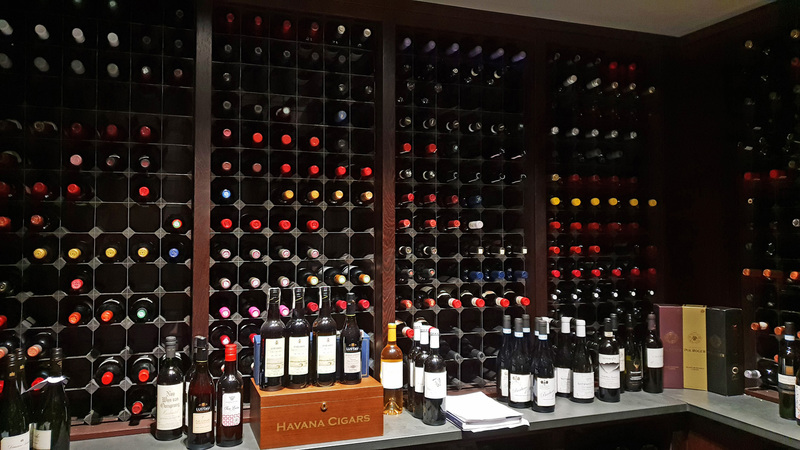 A look into the Samling Wine Cellar. 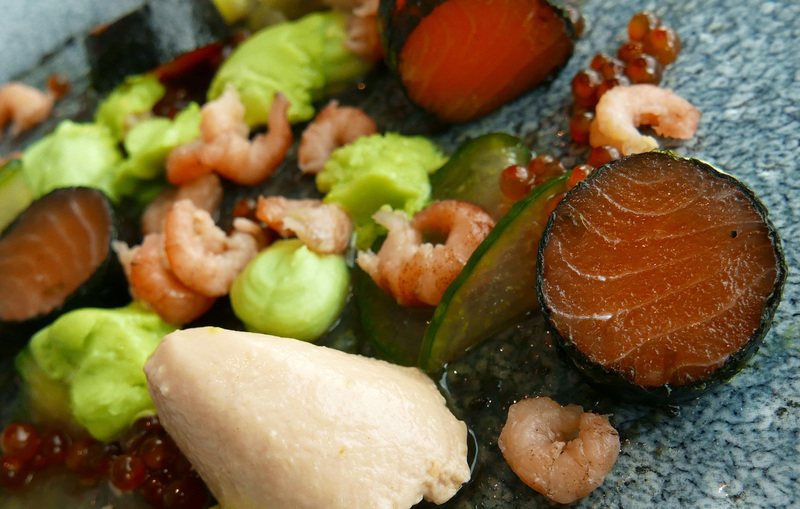 Previous Post Rogan & Co , Cartmel Village. 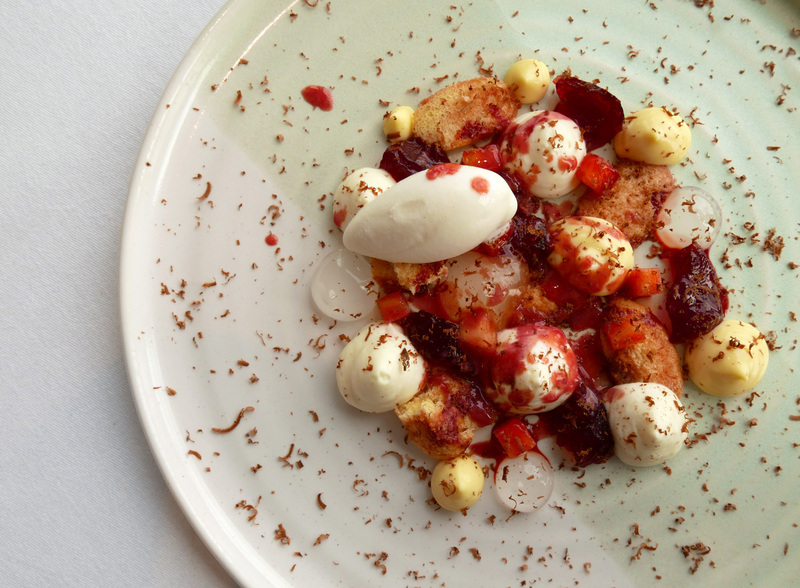 Next Post Restaurant 1863 , Ullswater.